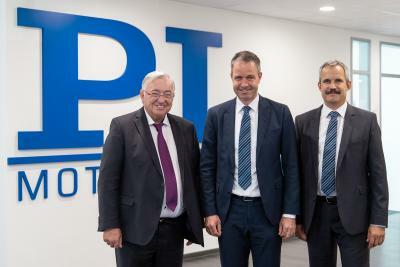 Physik Instrumente (PI) GmbH & Co. KG, the manufacturer of high-precision positioning systems, appointed new managing directors in April 2012 as part of the company's succession planning. Norbert Ludwig, Dr. Peter Schittenhelm, and Markus Spanner together with Dr. Karl Spanner, who takes on the presidency of the management, now constitute a committee of four which will lead the company in the future. Dr. Karl Spanner, who celebrated his 65th birthday in January 2012, upholds the principle of continuity. Considering the company's development since its foundation in 1977 by Dr. Spanner and further associates, this approach is certainly right: With now 700 employees worldwide in 11 companies and a total turnover of nearly 100 million euro, the PI group has developed very successfully. Mr. Ludwig and Dr. Schittenhelm have been with the company for many years. They have proven their creativity and their commitment to the company, lately as Vice Presidents. Moreover, Mr. Markus Spanner has also enriched the company since joining it five years ago, most recently with the foundation and restructuring of some PI subsidiaries. The commercial management of the entire PI group is in good hands with Mr. Markus Spanner who graduated in economics and spent some time in Asia. Mr. Ludwig takes on the responsibility for Sales and Marketing and Mr. Schittenhelm is responsible for Operations. Both have a university degree in physics and with that the background knowledge to understand market demands and to realize technical solutions. 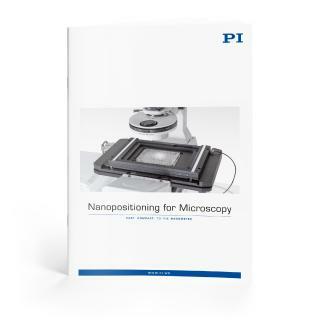 Back when PI was founded, positioning technology with nanometer accuracy was only of interest to some institutions working in the area of laser technology. At that time, PI, however, managed to gain an important headstart in terms of knowledge in the fields of precision motion and piezoceramic drive systems. The commercialization of nanotechnology has already begun on a large scale in the semiconductor market, and with its technological edge PI offers its customers possibilities for higher component density and a greater performance of modern semiconductor chips. 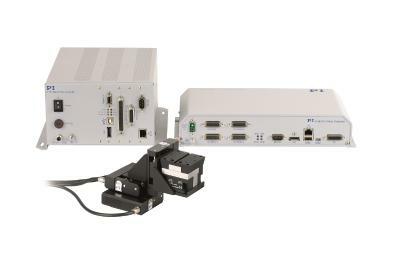 Well-known for the high quality of its products, PI has been one of the leading players in the global market for precision positioning technology for many years. PI has been developing and manufacturing standard and OEM products with piezo or motor drives for 40 years now. With four German factories and ten subsidiaries and sales offices abroad, the PI group is represented internationally.